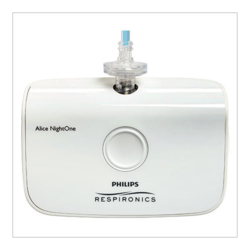 Respironics just unveiled the Alice NightOne, an at-home sleep testing (HST) device. 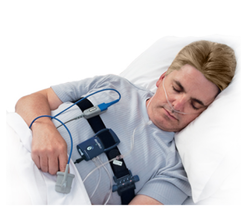 Fully compatible with the Somnolyzer scoring solution, sleep technicians can read the results from the Alice NightOne HST and determine a sleep study score in 50% to 85% less time and with great accuracy, according to a internal study. With minimal sensors and intuitive icons, Alice NightOne is easy for patients to set up themselves and limits discomfort while they sleep, states. It includes Smart Guide technology that provides step-by-step instructions and feedback to ensure all functions are working properly, reducing the chance of patient error. The device indicates if additional testing may be required before the patient returns the equipment, further streamlining logistics. Alice NightOne also provides the data necessary to differentiate between obstructive, central, and positional sleep apnea.